Following reports of AFI teasing something on their social media yesterday, fans have been on high alert for the band to actually announce something. And announce something they did! 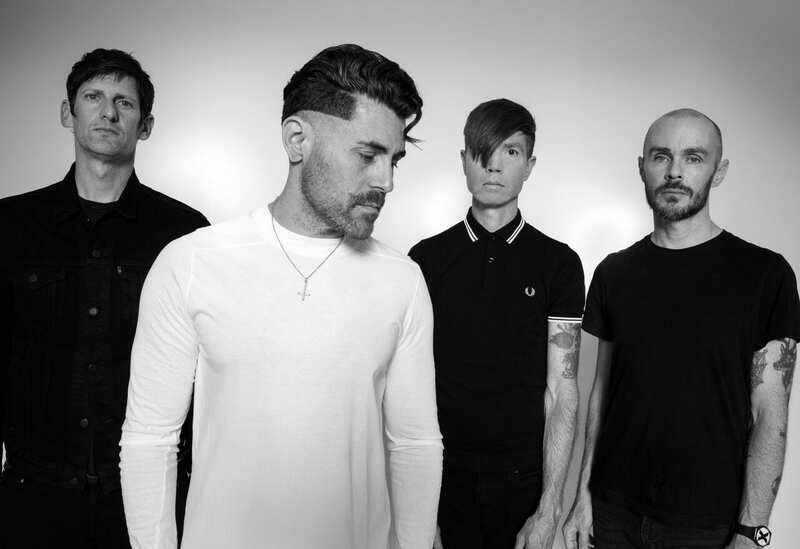 Dropped today, AFI (with Davey Havok – more on that later), have gone dark with a brand new song and EP announcement! Check it out below! Yesterday, Oct. 25, we reported that the group had posted a new photo, sans frontman’s Davey Havok’s actual body, to their social media. The picture showed a cutout of Havok’s silhouette, but no further context was given. According to AFI’s website, “Get Dark,” is the first single coming from their upcoming EP, the Missing Man, which is set to be released on Dec. 7. You can preorder your copy of the album here! The band’s new EP will mark fan’s first taste of new music since the group’s last LP, their 2017 self-titled effort, also known as The Blood Album. The album was the tenth album from the group, which formed back in 1991.Are you excited about AFI’s new music? What song are you most excited to listen to? Sound off in the comments below!